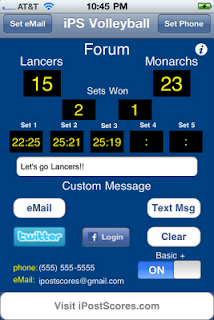 Publish the scores for Volleyball matches to SMS (Text messages), Twitter, Facebook and email. 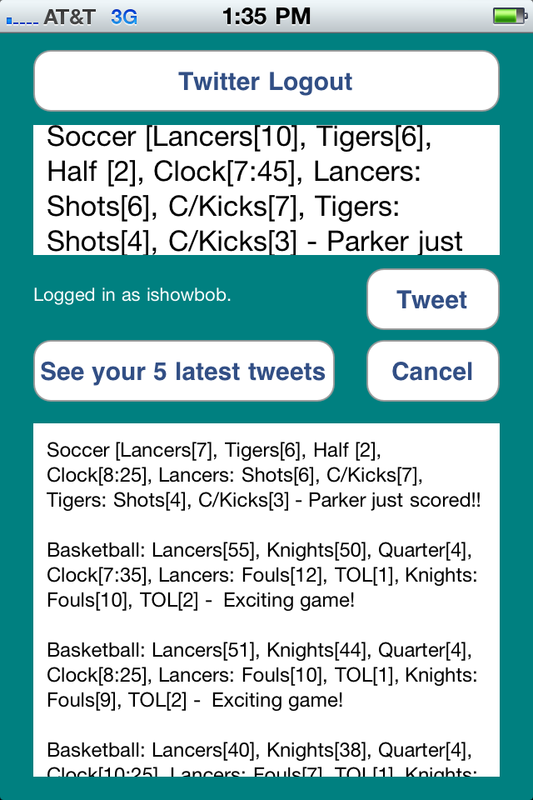 Use it to keep track of the current score (keep the referees honest). 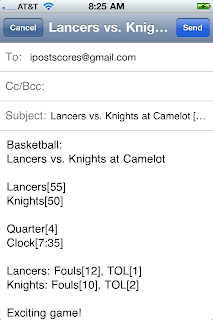 At the end of the day email yourself the final score for your records. 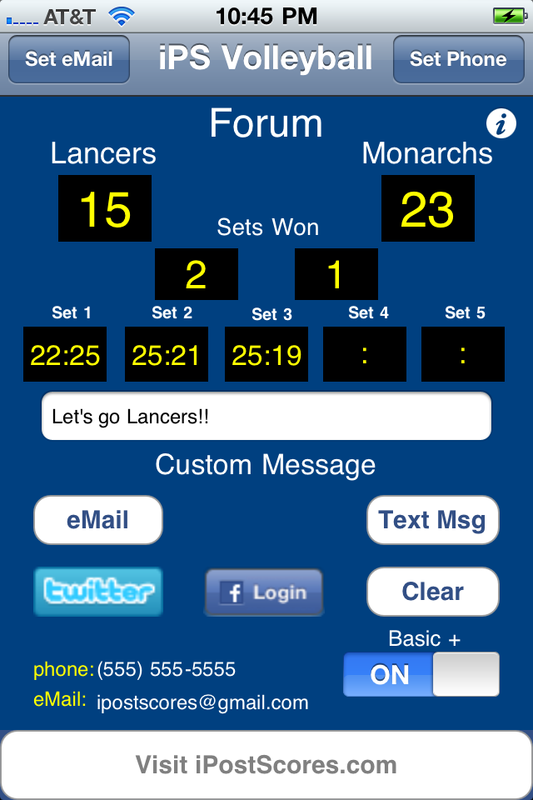 Just touch change and post the latest Volleyball score. It's that simple. 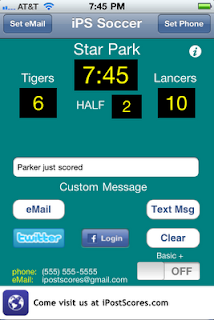 Great for keeping your friends and family up to date with the latest score. 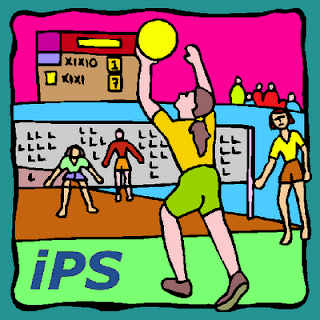 Excellent for parents that have children playing club Volleyball. 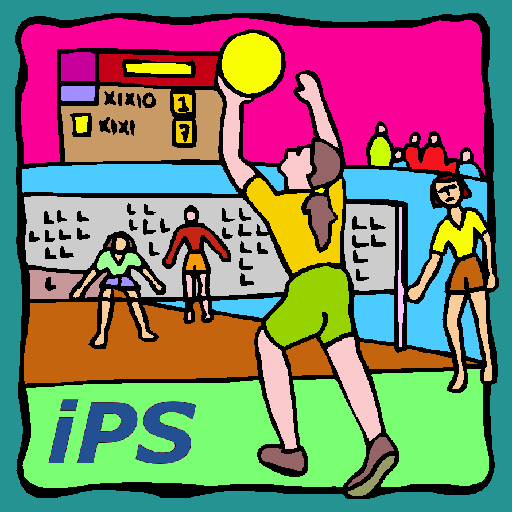 It is not always easy for both parents to attend their children's Volleyball matches. 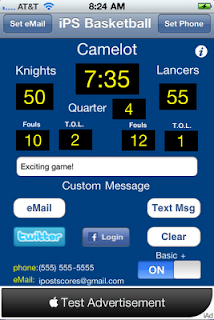 With Volleyball Scoreboard it is easy to keep everyone informed on the progress of the game using SMS, eMail,Twitter and Facebook. 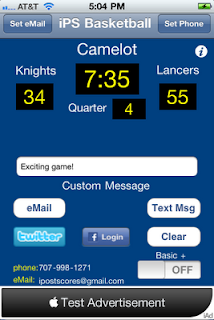 Use the Volleyball Scoreboard application to post your children's Volleyball scores for your friends and family to see. 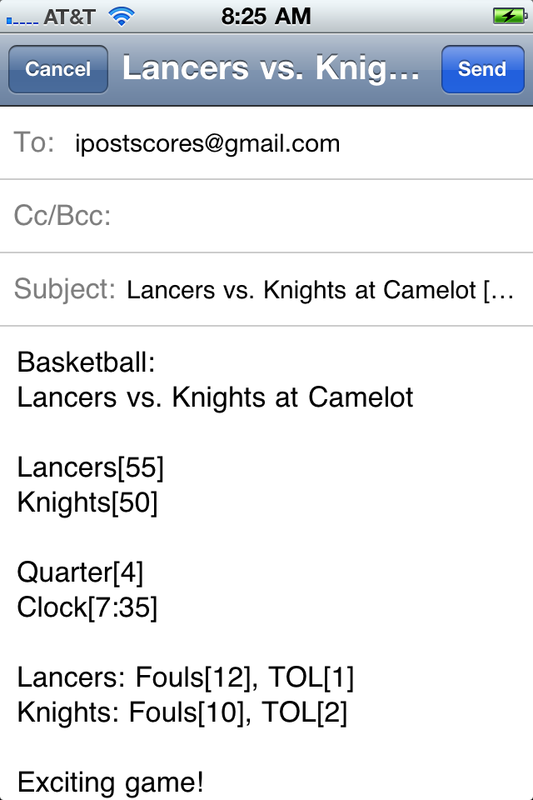 Scores can be sent as "Text Messages (SMS)", "eMailed", posted to your "Facebook" page or sent as tweets to your "Twitter" account. Publish scores for amateur or professional Ice Hockey games to SMS (Text Message), Twitter, Facebook, or email. 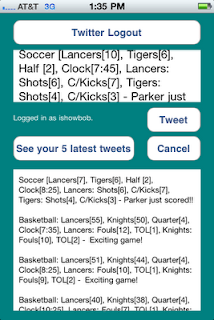 Just touch change and post the latest hockey score. It's that simple. 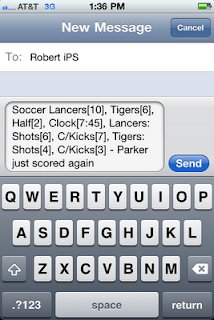 Great for keeping your buddies up to date with the latest score. Excellent for parents that have children playing club hockey. 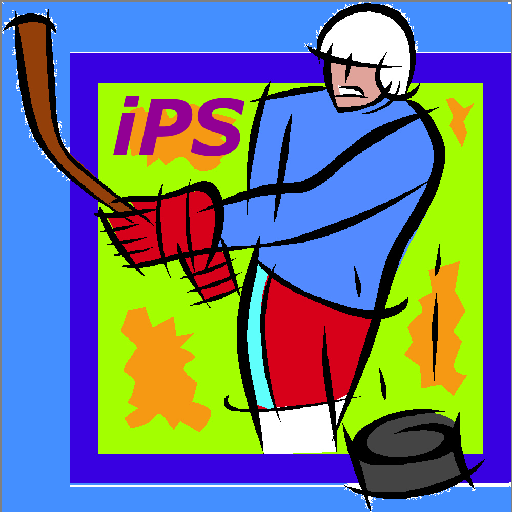 It is not always easy for both parents to attend their children's Ice Hockey matches. 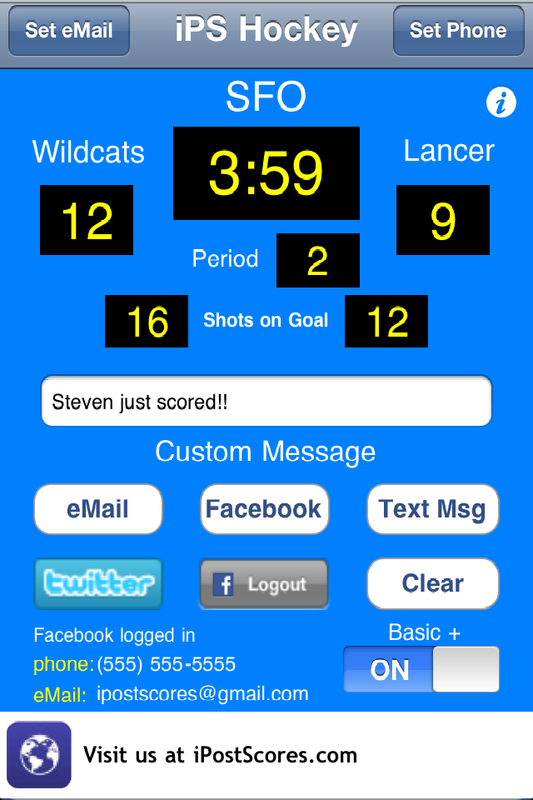 With Hockey Scoreboard it is easy to keep everyone informed on the progress of the game using SMS, eMail,Twitter and Facebook. 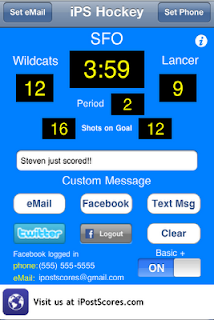 Use the Hockey Scoreboard application to post your children's Ice Hockey scores for your friends and family to see. 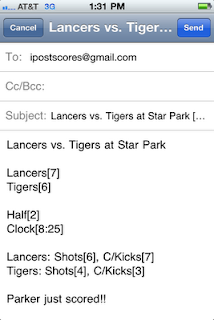 Scores can be sent as "Text Messages (SMS)", "eMailed", posted to your "Facebook" page or sent as tweets to your "Twitter" account. 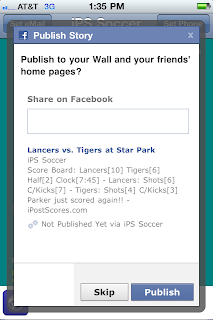 iPS Soccer Scoreboard available now on iTunes "click here"
Use the iPS Soccer Scoreboard application to post your children's soccer scores for your friends and family to see. 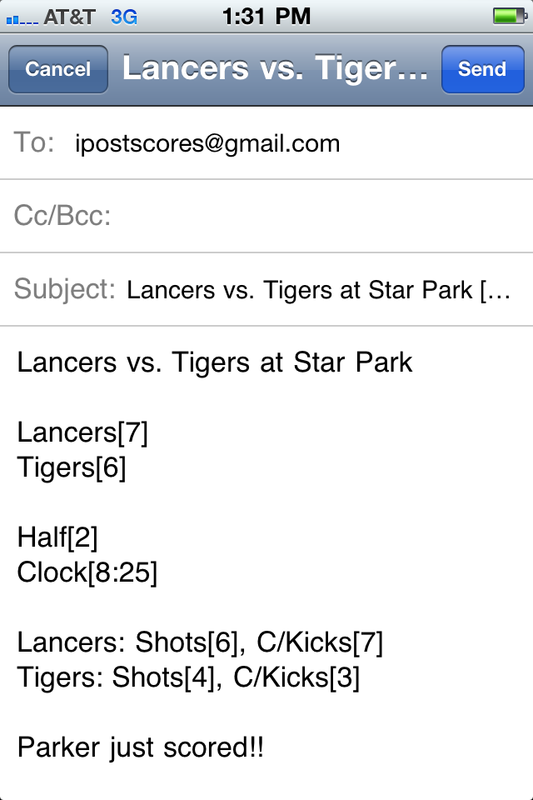 Scores can be eMailed, sent as Text Messages, posted to your Facebook page or as tweets to your Twitter account. It is not always easy for both parents to attend all their children's soccerl games. 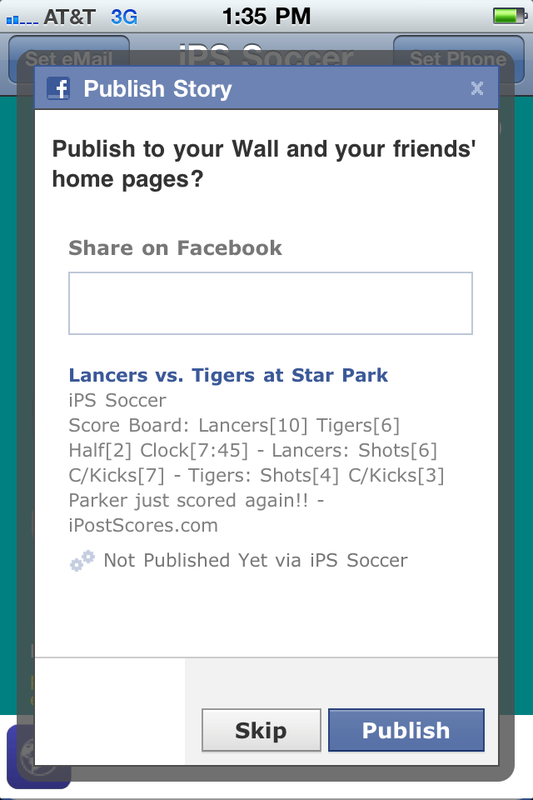 Now with the iPS Soccer Scoreboard application you can be kept informed on the progress of your children's soccer games. At the same time you can keep family members, friends, and other interested parties updated on a games progress with a simple press of the button. Whether you are sending updates to your significant other or to all your friends and family it only requires a press of the button. 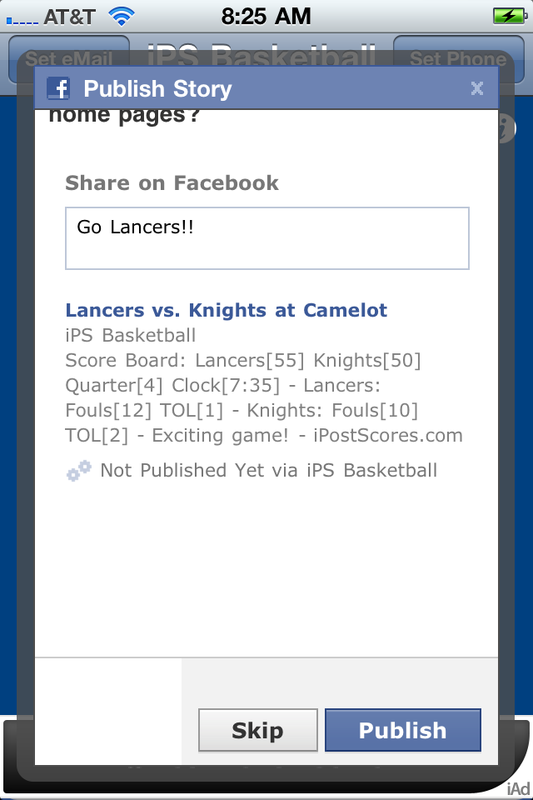 Visit http://www.iPostScores.com for information on our other Apps. Requirements: Compatible with iPhone, iPod touch. Requires iOS 4.0 or later. 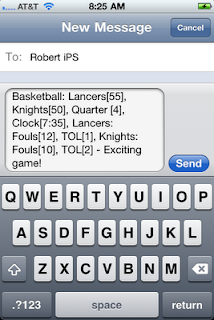 Text Messaging (SMS) Requires iPhone with iOS 4.0 or later. 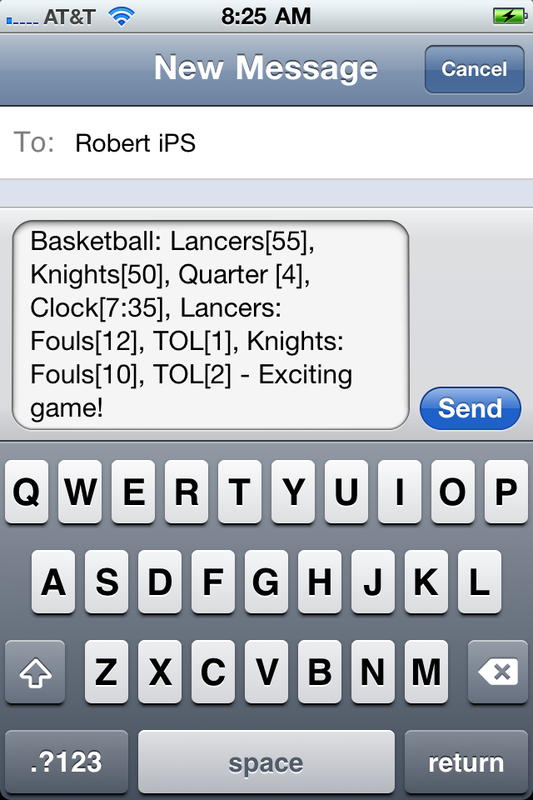 iPS Basketball Scoreboard available for free in the iTunes App store click here!! 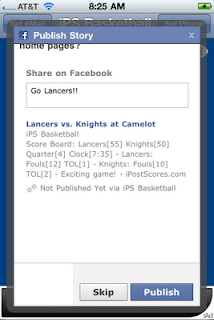 Use the iPS Basketball Scoreboard application to post your children's basketball scores for your friends and family to see. 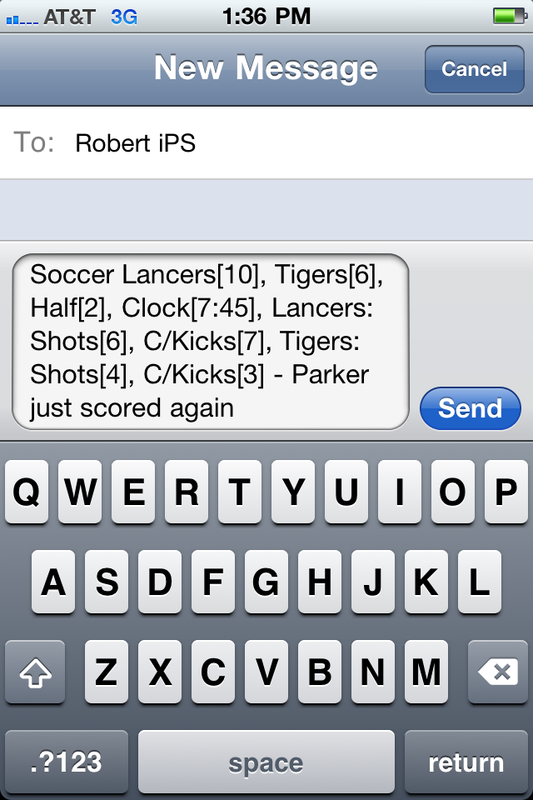 Scores can be eMailed, sent as Text Messages, posted to your Facebook page or as tweets to your Twitter account. It is not always easy for both parents to attend all their children's basketball games. 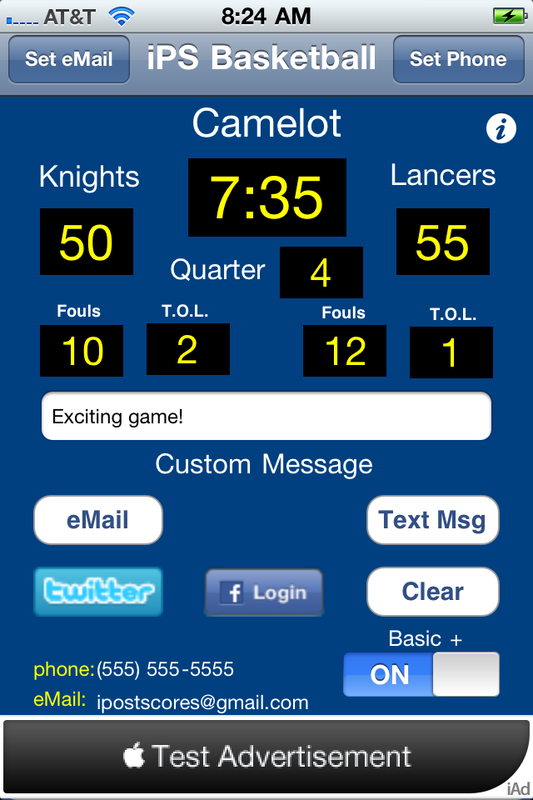 Now with the iPS Basketball Scoreboard application you can be kept informed on the progress of your children's basketball games. 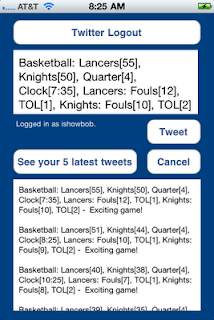 Useful for posting amateur or professional basketball matches to interested parties. Developer does not collect personally identifiable information through the App. The only means by which Developer may collect your personally identifiable information is if you provide it voluntarily (for example, by contacting the Developer by email). To the extent that you provide personally identifiable information to Developer, Developer will use such information for the sole purpose of communicating with you. To a successor entity upon a merger, consolidation or other corporate reorganization in which Developer participates or to a purchaser of all or substantially all of Developer’s assets. App is targeted to children under the age of 13, Developer does not collect any personally identifiable information from or about such children. To the extent you provide your personally identifiable information, it will be stored on secure servers that are not accessible by third parties.